In 1915, James A. Allison founded what would become the company that bears his name. Innovative Allison engineers, designers and manufacturers began building racecars, evolved to developing aircraft engines and then introduced the world to heavy-duty automatic transmissions. 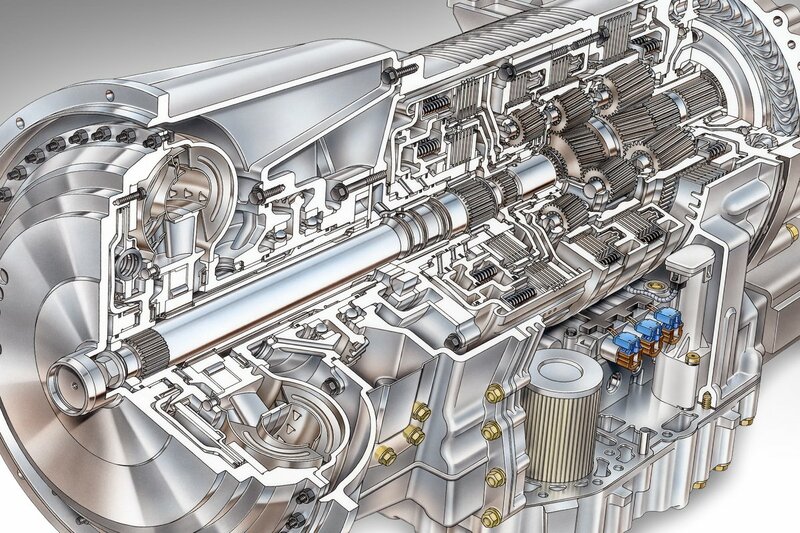 Today, Allison Transmission is the largest designer, developer, manufacturer and distributor of medium- and heavy-duty fully automatic transmissions and hybrid propulsion systems in the world. Because we’re focused on understanding and satisfying the needs of our customers, we’re constantly analyzing, refining and improving our products and their features. Rather than being content to rest on our past successes, Allison is driven by a true commitment to excellence without compromise that ensures our products are the highest quality available today. That’s why over 300 of the world’s leading commercial and military manufacturers specify Allison products for a wide variety of vehicles and vocational applications. Explore why Allison has become the ‘automatic choice’ for customers around the world who expect the best. And find out how our technology has been perfected over the years to directly benefit you, the customer. Allison fully automatic transmissions (“Allison Automatics”) have a global reputation for quality, reliability and durability because we engineer and build them to last. That’s why Allison Automatic-equipped vehicles have been shown to cost less to operate than comparable competitively-equipped vehicles. Allison Automatics have minimum maintenance requirements, meaning less downtime and lower overall maintenance costs. Since Allison Automatics use a torque converter instead of a dry clutch, irritating clutch repairs and replacements that come with manual and automated manual transmissions (AMTs) are eliminated. In fact, routine oil and filter changes are the only regular preventive maintenance requirements for an Allison Automatic. 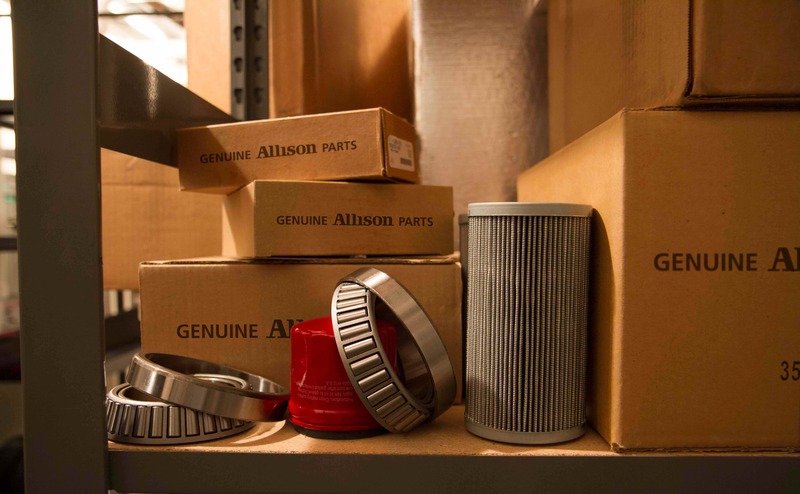 We stand behind our products with an extensive global network of approximately 1,400 Allison authorized Distributors and Dealers, which means that convenient, factory-quality Allison service is available if you should need it. At the end of the day, your ability to perform and produce is directly tied to the vehicles and equipment you use to do the work. You have people and customers counting on you. So when failure is not an option, Allison Transmission is the best solution for delivering power from the engine to the wheels of your vehicle. When it comes to fuel consumption, Allison Automatics offer the best combination of economy and efficiency, meaning you have the ability to optimize your fuel to go farther and faster. With Continuous Power Technology™, engine torque is nearly doubled at launch and power is delivered to the wheels without interruption. As a result, Allison Automatic-equipped vehicles not only accelerate faster, they also work faster and more efficiently within the best duty-cycle speeds. To get the most benefit out of every drop of fuel, Allison Transmission’s sophisticated 5th Generation Electronic Controls offer an enhanced array of smart controls designed to further increase fuel economy for your vehicle’s specific needs. 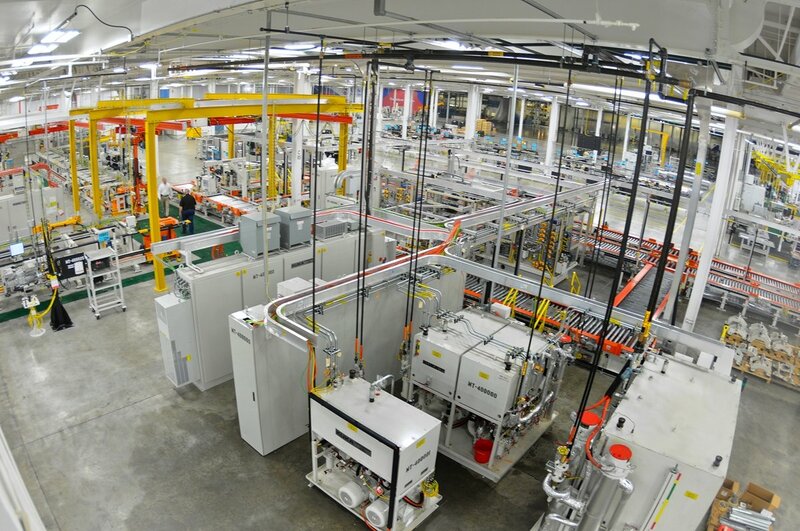 Invented to match the new generation of global vehicle electrical-electronic architectures, Allison easily integrates these controls during the vehicle’s assembly process. The flexibility of these innovative controls provides optimal shift strategies to maintain appropriate balance between performance and fuel economy. Allison is also the preferred transmission for alternative fuel applications. With the ever-increasing appeal of natural gas, more fleet owners are specifying Allison Automatics for their natural gas-powered vehicles to reduce emissions and lower noise. Thanks to the benefits of Allison’s Continuous Power Technology™, you don’t have to sacrifice vehicle performance for great fuel economy. From construction to distribution to transit to off highway applications – Allison fully automatic transmissions are designed and engineered to make you more productive, no matter your vocation. Allison Automatics’ smooth, seamless, full-power shifts deliver better performance, allowing vehicles to travel farther in less time, no matter what type of vehicle you’re driving or the operating conditions. Better performance means greater productivity, which makes your fleet more efficient and profitable. Unlike manual and automated manual transmissions (AMTs), Allison Automatics have no power interrupts during shift changes. They make the best use of the engine’s horsepower and torque by delivering more of it to the wheels. The results are faster trips, more deliveries per day and increased incremental revenue from the Allison-equipped vehicles in your fleet. Allison Automatics require only routine maintenance, so downtime is kept to a minimum. Thanks to Allison Transmission’s Prognostics feature, which allows you to quickly monitor oil life, filter life and transmission health, you can take the guesswork and hassle out of scheduling routine vehicle maintenance. This not only saves time and money, it also provides maximum protection for the transmission. That means less downtime, lower life-cycle costs and, best of all, greater productivity for your fleet. Allison fully automatic transmissions (‘Allison Automatics’) fit operating requirements better than other transmissions because they’ve been engineered without compromise. Allison Transmission’s patented Continuous Power Technology™ delivers smooth, seamless, full-power shifts and superior acceleration and startability. Each shift is made automatically at the right time, allowing each driver to precisely manage speed and efficiency. Seamless automatic shifts protect the entire driveline, as well as the cargo, while providing a smooth and comfortable ride. Drivers of Allison-equipped vehicles benefit from having both hands on the wheel and both eyes on the road for increased driver awareness. In addition, the better maneuverability and minimal rollback of an Allison Automatic provides superior vehicle control. When compared with a manual or automated manual transmission (AMT), an Allison fully automatic transmission is more nimble in traffic and easier to maneuver in congested loading zones, narrow roads and around tight corners, improving safety, productivity and the overall driving experience in every situation. Allison fully automatic transmissions are designed and engineered to improve daily life, making work easier and more efficient. From driver safety and great fuel economy to performance, productivity and superior reliability, when it comes to getting the job done, Allison is the automatic choice.